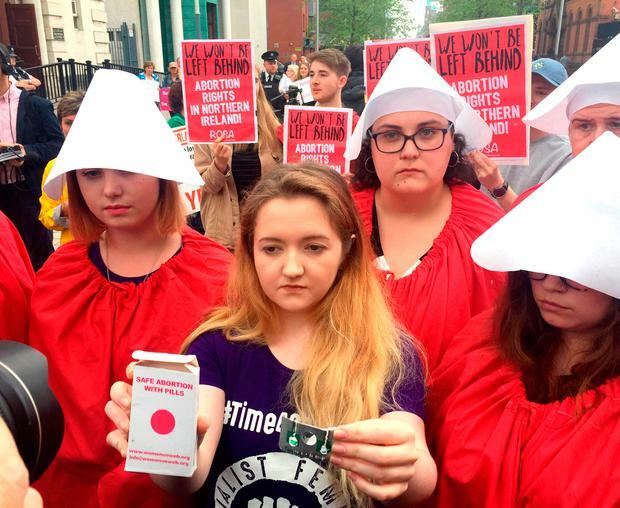 Police have seized two robots that pro-choice activists had planned to use to deliver abortion pills during a highly-charged demonstration outside Belfast's High Court. 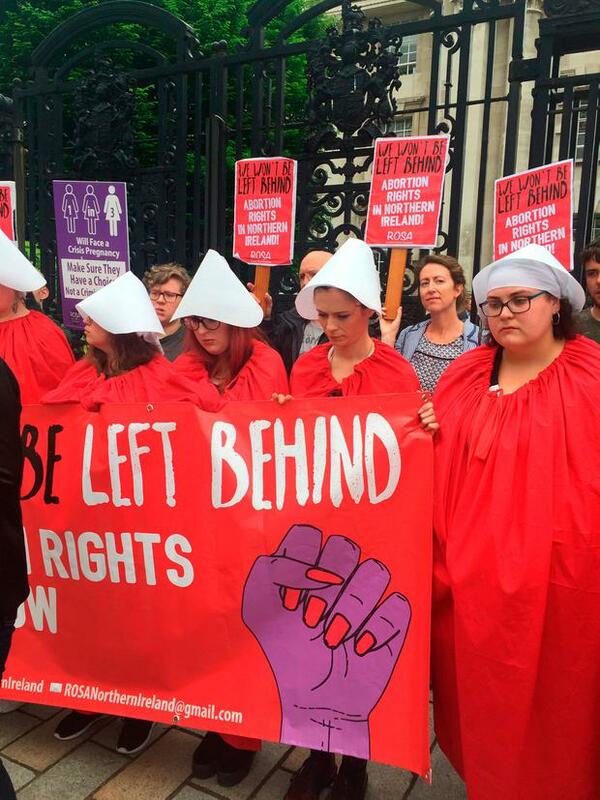 Activists from social feminist organisation Rosa NI held a rally calling for the relaxation of Northern Ireland's strict abortion laws ahead of the arrival of the organisation's 'Bus4Choice'. Acting with the support of web-based abortion pill providers Women on Web and Women on Waves, the activists planned to deliver the tablets by remote-controlled robot. But the two small robots were seized and activists voluntarily surrendered a number of pills. Three women, who refused to disclose if they were pregnant, consumed abortion pills while being filmed by police. Protesters from pro-life group Precious Life held a small counter- demonstration just feet away. Ahead of the event, the PSNI warned that procurement of an abortion is an offence under the Offences against the Person Act 1861 and Child Destruction Sect 25 (1) Criminal Justice (NI) Act. The PSNI spoke to one of the women who had consumed a pill but she was not arrested. Chief Inspector Stephen McCauley said: "Officers recorded footage of the demonstration, the details of a number of participants and have spoken with one of the event organisers. "We will be reviewing the footage to determine whether any offences have been committed, but as we are now investigating this matter, we will not be commenting further."